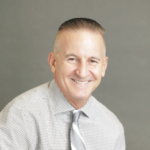 Editor’s Note: In keeping with our mission of being the leading provider of customer engagement solutions, our Senior Copywriter (and newest blog contributor) David Rizzo wrote the following (fictional) accounts of a time when a contact center let him down, and another when it saved the day. For us, it’s important to illustrate the true difference our Harland Clarke solutions can make when it comes to delighting customers, reinforcing brand trust, and making their lives just a little bit easier. 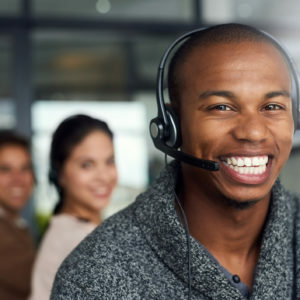 Below are three examples of a fictional customer’s interaction with a contact center: the good, the bad, and the ugly. No clear or logical explanation. It was simply bad business. Plus, I could hear celebrating in the background – like it was somebody’s birthday or work anniversary – but, in my ruffled state, I felt they were joyfully celebrating the rejection of my service request. Don’t they have a break room? I digress. Add all that up and I went from being a high-value customer of more than 10 years to a new, high-ceiling customer for the competition. The one positive is that it was over quickly. Buh-bye, dead inside, soulless contact center rep and your inappropriately happy coworkers. I woke up one morning and to my great surprise, my bank was no longer my bank. Suddenly, it was a new bank with a different name, new website, new colors, new look – new everything. The building’s old sign was even draped with a temporary canvas (CANVAS!) sheet displaying the new name. It was like being married to someone for many years — someone in whom you’ve invested a lot of time and money and emotion — and you wake up one morning and they’re replaced by a completely different person. Ok, reading that back, I realize how this trite analogy could be a very good thing for some — but not with your bank. No tender and tearful call, no lengthy and regretful email. I would’ve even settled for a carelessly misspelled, unsympathetic breakup text. But there was nothing. My favorite, teller could’ve at least called. Teller Window 2, I thought we had something special! I suppose I was expected to simply take this lying down. But this is where it gets intense, because, not surprisingly, I was not the only one seeking closure. How about, “Your estimated hold time is …. 45 minutes”? Finally, my new bank moved in for the kill by disconnecting my call after endless ringing. A skillfully applied customer-service-fail sleeper hold that ended my agony. All that remains is the disconnected call buzzing sound ringing in my ears. Goodbye, Teller Window 2, alas, our fingers will never softly brush again through the cash envelope exchange slot. Power tools, fast food, pricey sneakers. That’s what the person who stole my credit card charged the most. The where, when, and how those items may intersect in the course of someone’s life I will not allow myself to imagine. All that mattered to me was to stop the bleeding – fast. My first call was to my new bank’s contact center. I’ve been burned before, and the wounds were still fresh, so I was more than a little apprehensive to jump back into the contact center scene. I wasn’t looking for just any contact center experience, I was looking for the right contact center experience. Well, let me say that it was magic from the start. 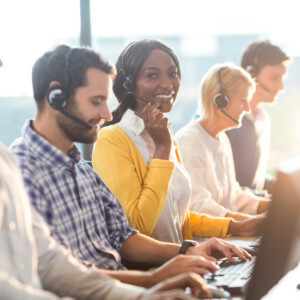 My contact center representative exhibited all the qualities I was looking for – empathy, knowledge, attention to detail, creativity – to resolve my very urgent and serious problem quickly and in a single interaction. No hold times, no shaming, extremely supportive. I hung up feeling renewed and reconnected to a bank with which I can deepen my relationship and enjoy long-term happiness. Why would an account holder want or need to make a phone call when they can simply send a message via Facebook or Twitter, or fill out a form on the financial institution’s website? Actually, there are four big reasons why contact centers are still relevant, even in the era of social media. Ron Hasbrooke explains in his latest blog post.